Eu:CROPIS (Euglena and Combined Regenerative Organic-Food Production in Space) is a German life science satellite developed by the DLR to investigate the growing of plants in different levels of gravity on Mars and the Moon. The 250 kg lightweight greenhouse satellite is designed to rotate around its longitudinal axis while orbiting at an altitude of roughly 600 km. In doing so, it will replicate lunar gravity, which is 0.16 times the gravity on Earth, or the gravity on Mars, which is 0.38 times the gravity on Earth depending on the rotational speed. The Eu:CROPIS mission will operate two greenhouse environments. The first of the two greenhouses will operate under lunar conditions for the first six months, while the second greenhouse will operate in a Martian environment for the following six months. The Eu:CROPIS spacecraft will be manifested as a commercial customer on one of five available ports on Spaceflight’s SHERPA rideshare vehicle on a Falcon-9 v1.2 (Block 5) going to a sun synchronous orbit. 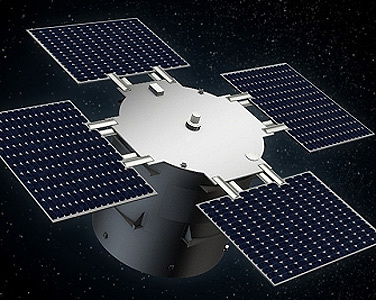 Spaceflight’s SHERPA is a free-flying platform that ferries up to 1,500 kg of rideshare spacecraft and provides a hosted payload solution.